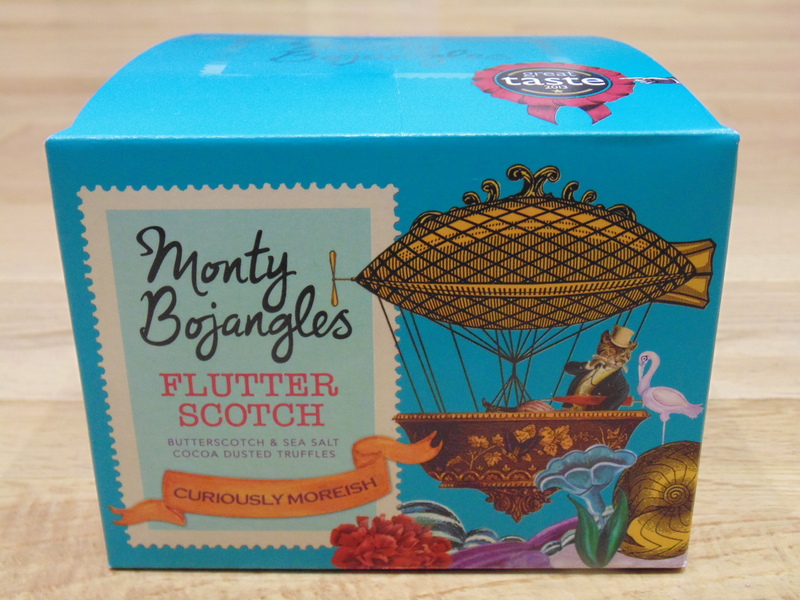 Monty Bojangles Flutter Scotch Cocoa Dusted Truffles OMG!!! Chocolate, we love it. But, unlike the rest of the family, I must admit I am becoming a bit of a chocolate snob in my old age. Gone are the days when the basic quality street and celebrations would satisfy my craving. Frankly they have gotten a bit boring over the years. Now I need that little bit more, something smooth and creamy but with a gorgeous rich chocolate flavour. My taste buds are getting excited just at the thought. 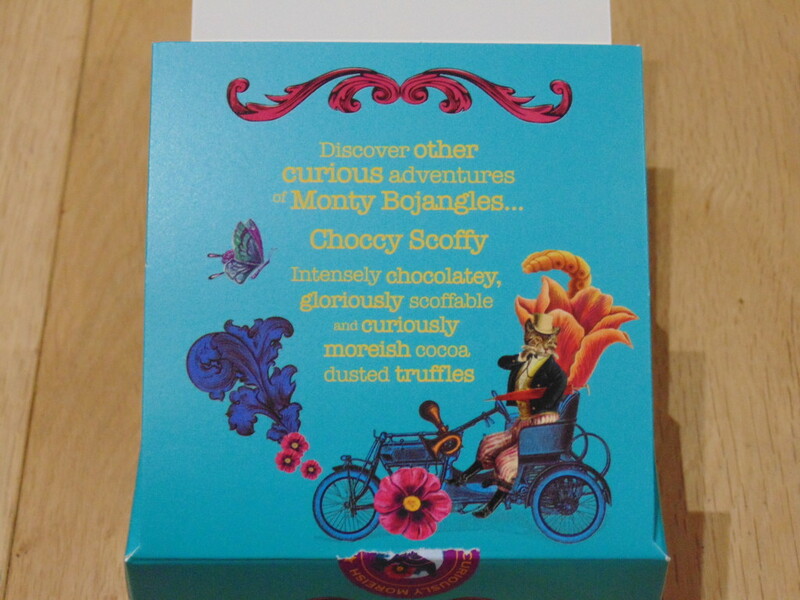 I had a dinner party this weekend and one of my friends brought over some Monty Bojangles Flutter Scotch Cocoa Dusted Truffles OMG!!!!! To label these as good would do them a injustice they were fabulous. The rich, creamy, smooth chocolate simply melts in the mouth leaving the creamy, chewy butterscotch pieces. The combination of the sweetness of the chocolate and butterscotch juxtaposed with sea salt in the chocolate and the bitter sweet cocoa dusting make this divine combination a pleasure to eat and eat and eat (you get the gist). 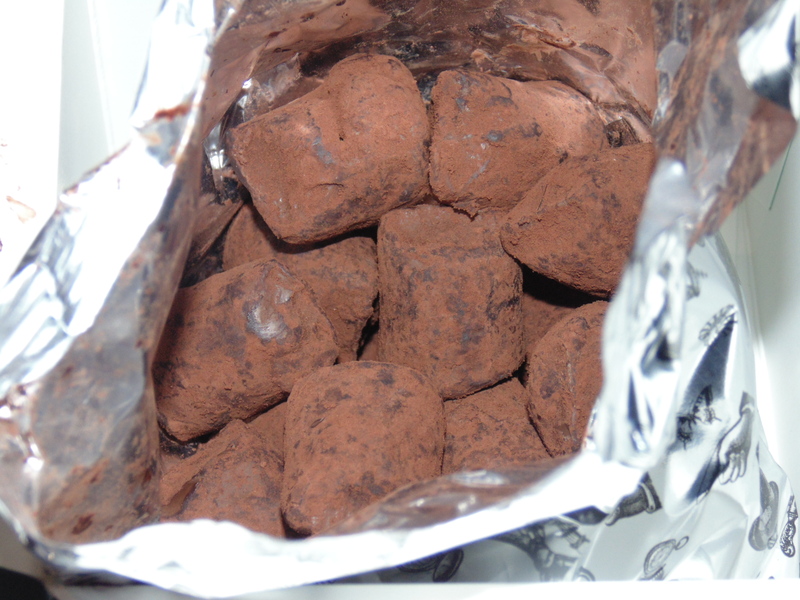 Packed in a foil bag to keep them fresh these truffles won a Great Taste Award in 2013 and 2014! Available in most large supermarkets these are great chocolates that you will want to hide in the cupboard as part of your secret stash!!!! I will admit they are almost too good to share but being a good mummy I shared with all present. These make great stocking fillers and are great to bulk up a gift. Hotel Chocolat Christmas Selection 2013 They have surpassed themselves, absolutely divine! Oh my goodness….. my idea of heaven ! I know!!!!! They are yummy. How wonderful chocolate and butterscotch. It was fantastic and not expensive considering how great it tastes.